CLICK ON THE DROP DOWN MENU FOR ZONING FORMS. SEE THE BOTTOM OF THE PAGE FOR ADDITIONAL ZONING LAWS. Welcome to the Chester Township Zoning Department. Filling out a form for us has never been easier. Just choose a form from the list above, fill it out online, and either bring it in or fax it to our office. The current Zoning Inspector is Mr. Steven Averill. Please feel free to call the Zoning Office at 440.729.7058 and select option 5 or via his mobile number 440.313.4963. Following the passage of House Bill 22 on June 9, 1947, (authorizing townships to adopt zoning resolutions) the Chester Township Board of Trustees appointed the first Zoning Commission in October of 1947. The first Zoning Resolution took a year to write and was approved by the citizens of Chester Township in the November, 1948 general election. It took effect in December of 1948. From that day to this, the zoning department of Chester has sought to protect the township from unrestricted development and use. To quote the Zoning Resolution's purpose from the oldest Resolution on file in the Town Hall modified July 1954: "For the purpose of promoting public health, safety, morals, comfort, and general welfare; to conserve and protect property and property values; to secure the most appropriate use of land; and to facilitate adequate but economical provision of public improvements, all in accordance with a comprehensive plan, the Board of Trustees of this township find it necessary and advisable to regulate the location, height, bulk, number of stories and size of buildings and other structures, including tents, cabins and trailer coaches, percentage of lot areas which may be occupied, set-back building lines, sizes of yards, courts and other open spaces, the density of population, the uses of buildings and other structures including tents, cabins and trailer coaches, and the uses of land for trade, industry, residence, recreational, or other purposes and for such purposes divides the unincorporated area of the township into districts or zones." The Zoning Inspector is to interface with the residential and business land and building uses of Chester Township along with County and State officials with regard to the Zoning Resolution. The primary job of the Zoning Inspector is to enforce the Zoning Resolution. This is done by issuing zoning certificates where possible, directing other requests to the Board of Zoning Appeals where needed, investigate possible violations of the Resolution, issue citations where necessary, and to work with the County Prosecutor's Office to represent Chester Township in any court actions needed to enforce the Zoning Resolution. 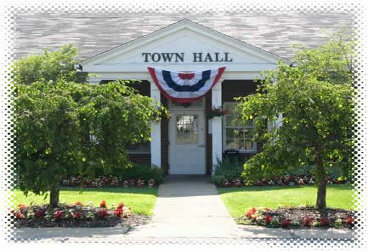 The Zoning Inspector is an employee of the township hired by the Township Trustees.